WORKSTATION! 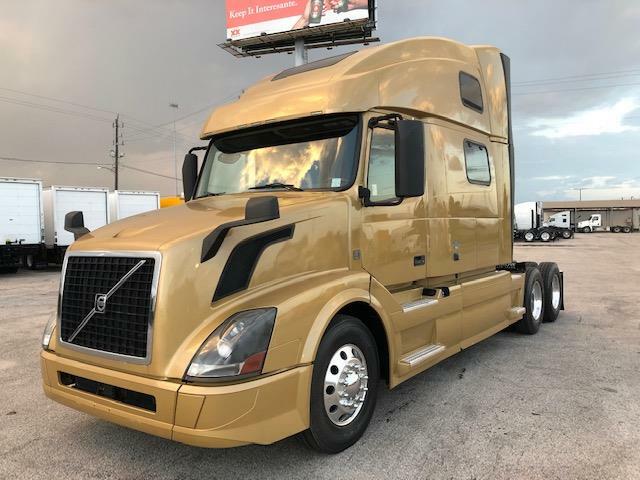 The Volvo VNL780 has the ride, the comfort, and the space that every truck manufacturer tries to reproduce. The workstation provides an area for you to take care of paperwork, eat, or just take a break from being in your bed all day. If you want to get behind the wheel of the "Big Dog" of trucks, look no further, this is the one. Power windows, power/heated mirrors, and a 77" raised roof sleeper with a workstation. DOT ready, PM serviced and professionally detailed. 90 Day Confidence+ Power-Train Warranty included. Extended warranty, insurance, 24/7 roadside assistance, and financing available! We say yes when others say no! Call us today and let one of our friendly and knowledgeable sales consultants help you find the equipment you need.